The Poison Ivy outfit with a corset crafted from ethically made handloom silk, this vibrant green corset oozes quality and style. The silk cloth has been made especially for Kinnaird Ireland by a family of weavers, meaning this cloth and colour is totally unique to Kinnaird Ireland. The result is a eye wateringly beautiful, vibrant green corset that will turn heads whenever worn and may leave many with the green eyed monster. 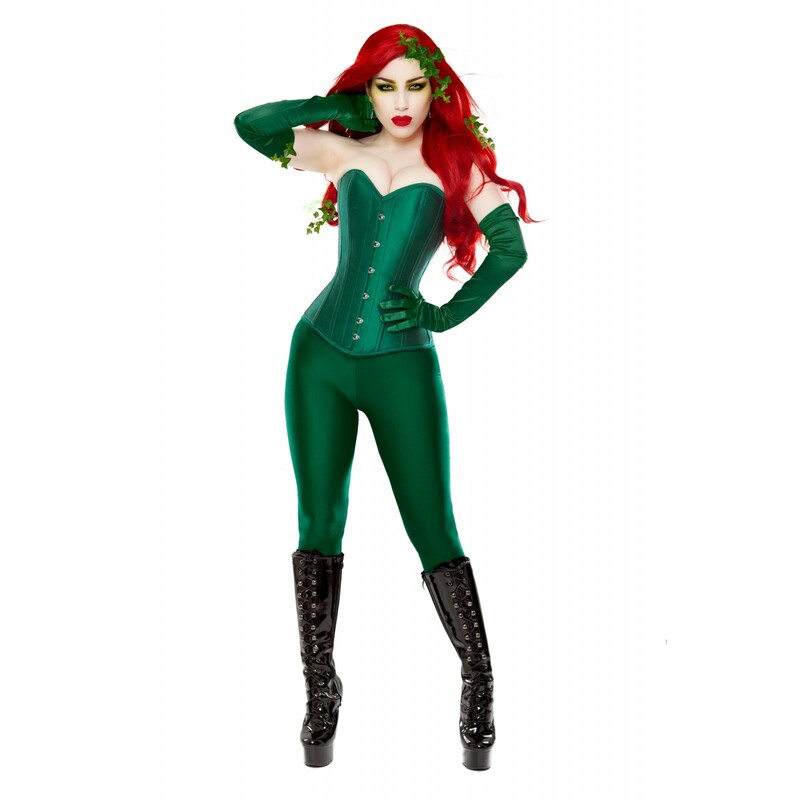 When paired with leggings and the patent boots it makes an enviable poison ivy.